(SPOT.ph) Time really does fly by quickly. It's almost the ber months and it's also been two years since Ooma introduced us to a world of Japanese food that went beyond the usual California maki and tempura. 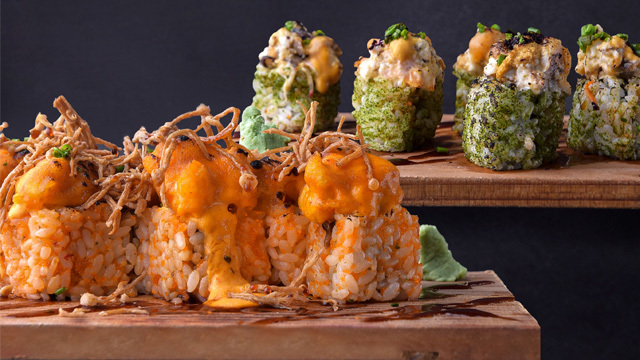 And what better way to celebrate the milestone than with new aburi rolls, and in true Ooma fashion, they're as bold and unconventional as ever. 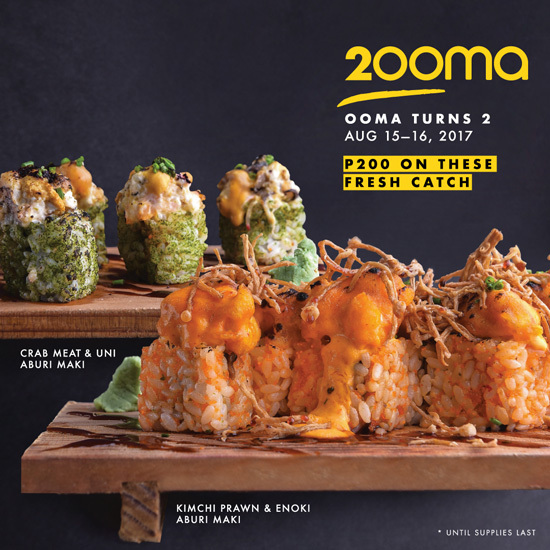 Ooma is launching Kimchi Prawn & Enoki Aburi Maki, and the Crab Meat & Uni Aburi Maki for only P200 each but there's a catch: you can only get them on August 15 and 16! The Crab Meat & Uni Aburi has torched crab and uni, and gets a spicy zing from Japanese spice yuzu kosho and yukari shisho salt. If you like your aburi a little hotter, the Kimchi Prawn & Enoki Aburi should satisfy, with fried enoki and prawns covered in spicy kimchi aioli. With flavors like these, we're sure these new aburi will be unforgettable, so better catch them before they disappear!